As one of Indy’s Top 5 interior design firms, it is Elle Designs passion to help others create spaces where “Life Experiences” unfold. 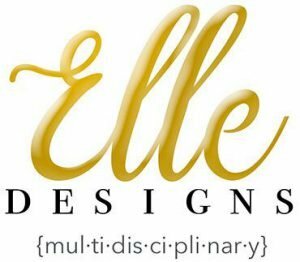 As a multidisciplinary design firm, Elle Designs can help with Residential, Commercial, Destination, and Event Designs. Danielle will guide you through your project every step of the way! Danielle’s design expertise is quite diverse. Her design work has been published and granted several awards. You might catch Danielle hosting a design segment on Indy’s Wish-TV Indy Style, sharing tips and tricks of the trade. Danielle is a Registered Interior Designer, Professional Member of American Society of Interior Designers, and holds her Professional Licensure in Interior Design. Danielle resides in the Indianapolis area with her family. She loves to travel, exploring stateside and abroad, grabbing coffee and perfecting the art of shopping. Elle Designs proudly celebrates “A Decade of Design” this March as they kick off their 10 Year Anniversary! Every project has a story, let Elle Designs help you tell yours!